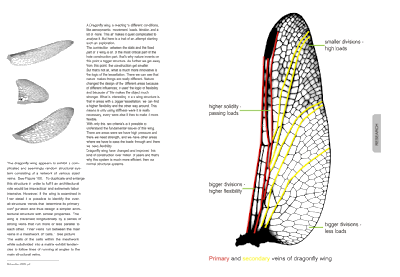 I just started to understand how the process of growing in nature can be translated into scripting. Let's see where i will get. 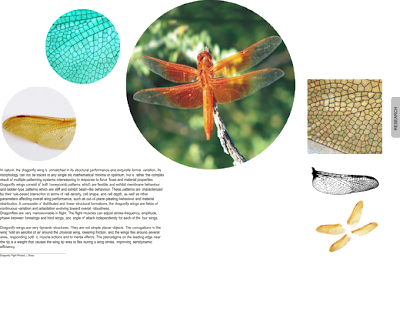 This project is a research about the morphology of a dragonfly and a glass sponge. 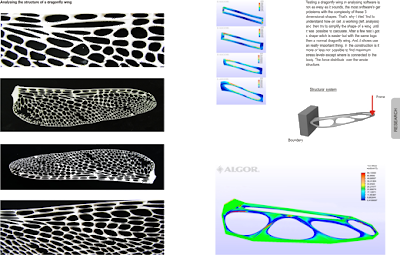 It joins their structural behaviour and generates a structural element which is stronger than the standard produced construction.We know that that dragonfly wings and glass sponges in nature are generated by evolutionary processes involving aerodynamics, lightness, mechanical properties, composite performance, the smooth accumulation of organic material, and the active flow of blood-energy. 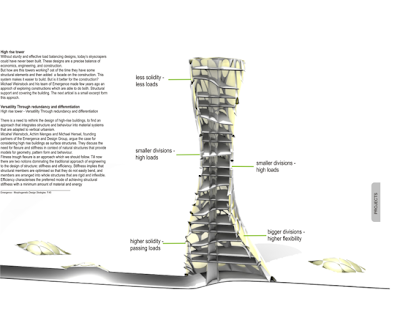 These structures are governed by a different set of parameters including gravity, water flow and seismic loads, specific support locations and quality of those supports, flat material increments, and buckling failure, differences which lead to an unpredictable hybrid morphology. 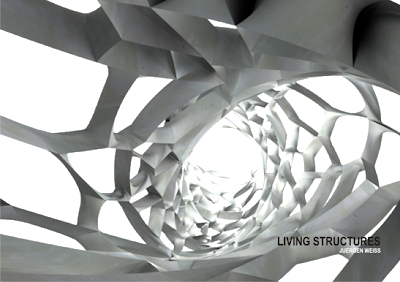 Seen in a larger context, this project contributes to the recent contemporary discourse on cellularity in architecture as a departure from pure cellularity toward a tectonic based on emerging structural hierarchies within rhythmic cellular fields. 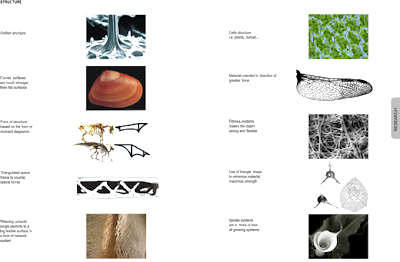 The research is representing an investigation into Biomimicry and includes a development of a design method based on biomimetic principles. 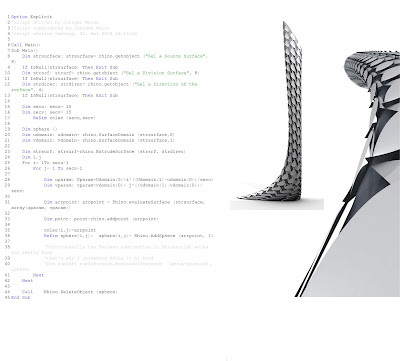 For this I used different software applications from rhino 3d modelling with Implicit and Explicit History (which makes Rhino partly parametric), combined with a script made in Rhino, as well as an analyse programme for improving and verify my explorations. 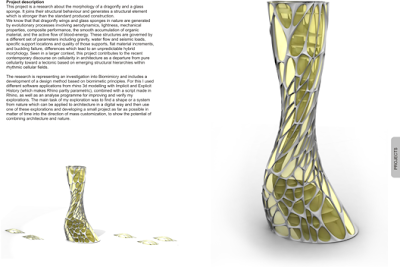 The main task of my exploration was to find a shape or a system from nature which can be applied to architecture in a digital way and then use one of these explorations and developing a small project as far as possible in matter of time into the direction of mass customization, to show the potential of combining architecture and nature. 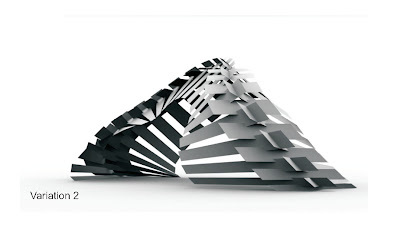 Digital Research as an approch into the parametric field of scripting. 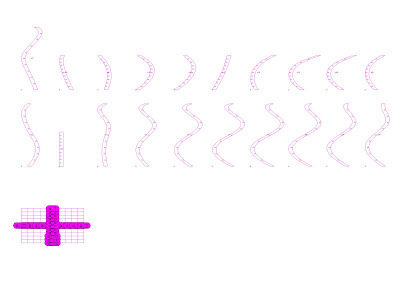 Unrollles Surfaces with a numbering system. 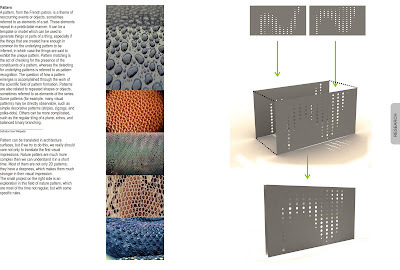 This script developes a perforated surface, which reacts to a driving surface. to produce them. In the upper part you can see different variations and in the next serie a simplified model. 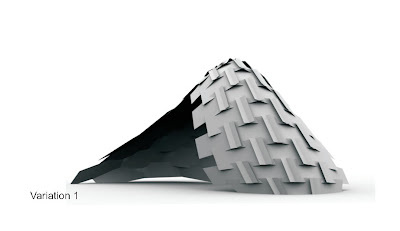 Dome Project developed with students of IAAC '08. 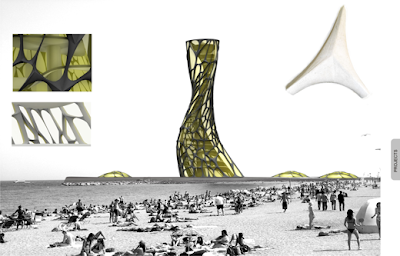 The Dome project is a very interesting task since the class of Digital Tectonics is working united on this project. 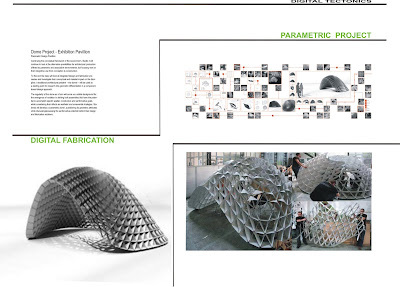 All 20 students come from different coutries and have never worked before in in a team of 20 people for one single project.The goal was to design a parametric Dome with a complex skin and to fabricated it in the Scale 1:1 during a timeperiod of 5 weeks. 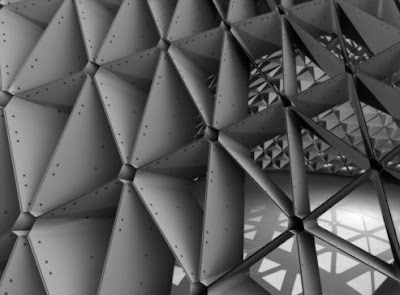 To begin with, we thought the DOME as a pavillon in which one could enter. 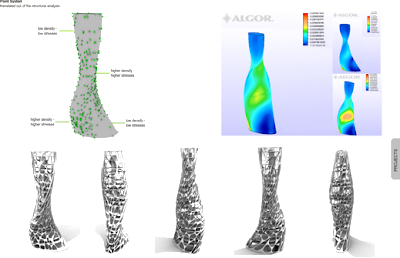 The basic parameters for the shape for the surface were defined in a simple TopSolid model. 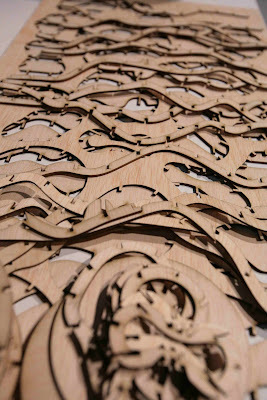 Later points were spreaded throughout the surface and give the final posistion for the components. 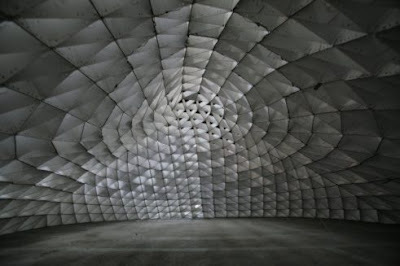 The hole project is made out of 1200 pieces cardboard. 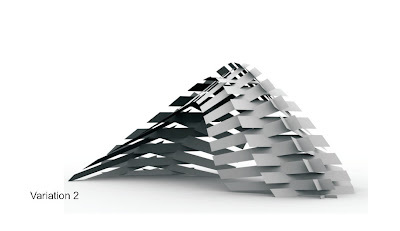 The design and construction is developed in Topsolid as a Parametric Model. The conection is made with Zip ties. 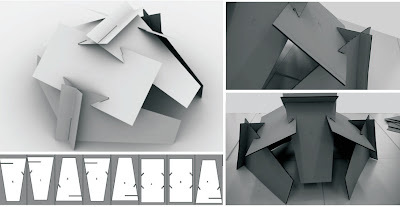 At the beginning we devloped a different kind of join, but as we realiced pretty fas in fabrication, it was not strong enough and we had to start from beginning. 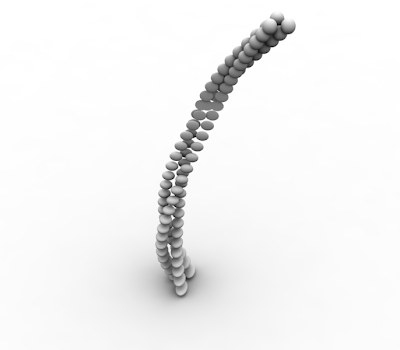 You can see the first connection on the left side. At the end I was really happy with the fast decision of using zip ties, it made the whole project much nicer.